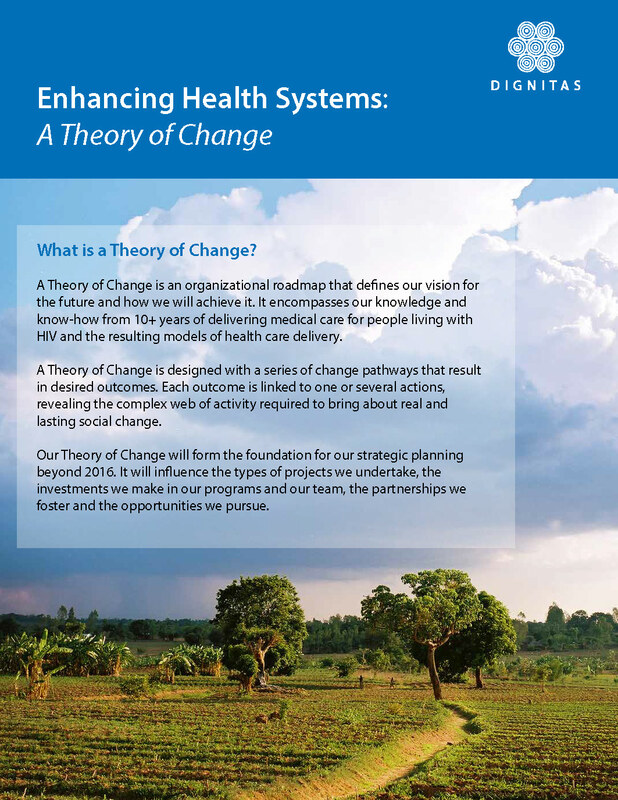 Our theory of change begins with our firm belief in equal access to quality health care and a world where all people can live a healthy and productive life. Dignitas believes the pathway to achieving this visionary goal lies in strengthening health systems for communities facing both a high burden of disease and unequal access to services. Our experience has taught us that strong health systems at the community and national levels are essential to providing quality care for the people that need it most. Our efforts are always focused on weak health systems where there is an opportunity to work with government to develop sustainable solutions within existing structures. 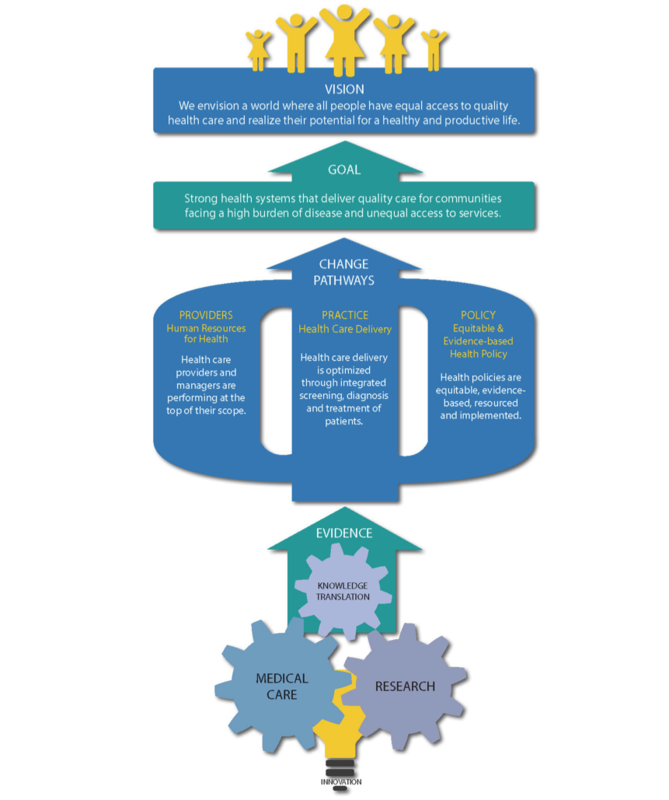 Innovation fuels our unique combination of medical programs, research, and knowledge translation to build dynamic and long-lasting pathways to change. These three components propel our work forward. Human Resources for Health, to ensure health care providers and managers are performing at the top of their scope. Health Care Delivery, so it is optimized through integrated screening, diagnosis and treatment of patients. Equitable and Evidence-based Health Policies, to ensure national health policies that are equitable, evidence-based, resourced and implemented. Our ultimate purpose is to improve how we take care of people. With 10+ years of experience delivering medical care to people living with HIV and the resulting models of health care delivery, we are confident that our work will bring about real and lasting improvements to health and well-being everywhere we work.